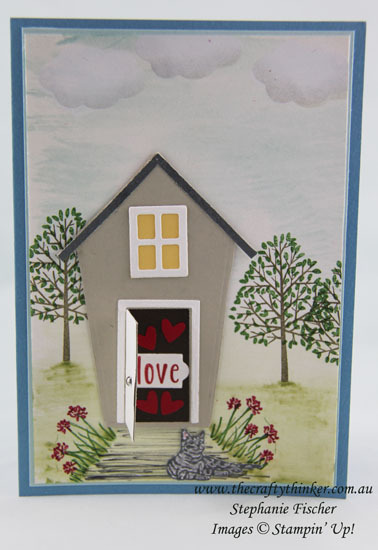 This card is for some friends in England who have just moved into their new home. What could be behind the door? 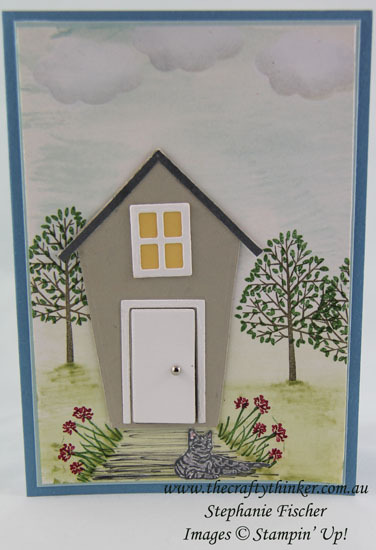 They actually have two beautiful grey cats with tigerish markings but I could only fit one cat onto the card - the other one must be off exploring! A house full of love! The front door opens to a house full of love. My thanks to Petra Tailor of Tailored Craftiness for inspiration!